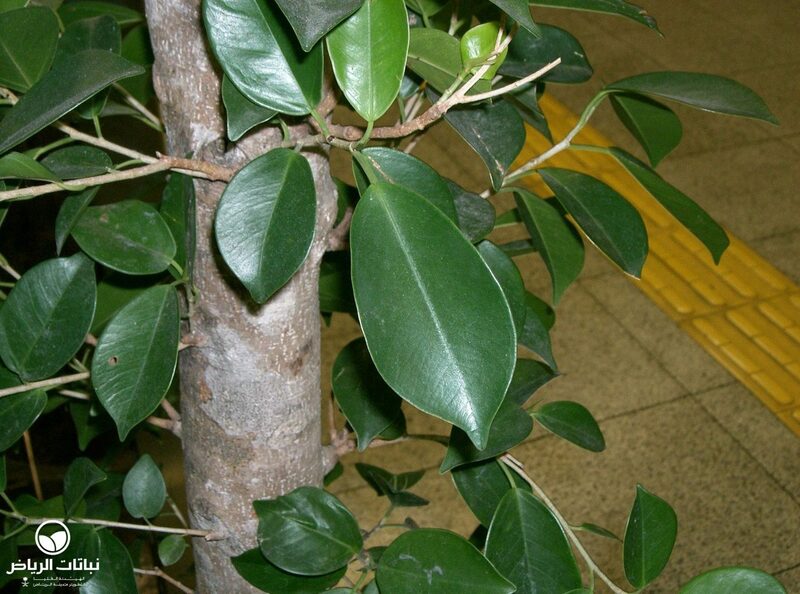 This Ficus is a curiosity in that it is usually grown commercially as a bonsai tree. It was first seen in containers in Arriyadh nurseries and has been planted outside shops and restaurant windows principally because it grows compactly and can easily be pruned to shape. Often available in a spherical shape on a stem, F. panda shares all of the requirements of F. m. var. nitida, and the same applies to its ability to withstand frost and sun. It has light, almost round, thick leaves, which alternate up the stem and a brown to reddish bark dotted with small horizontal flecks. 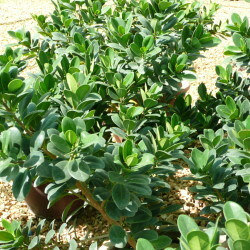 It can be propagated easily from cuttings. It suffers from several diseases, including black fly, scale, thrips and eelworm, as well as fungus and rot. 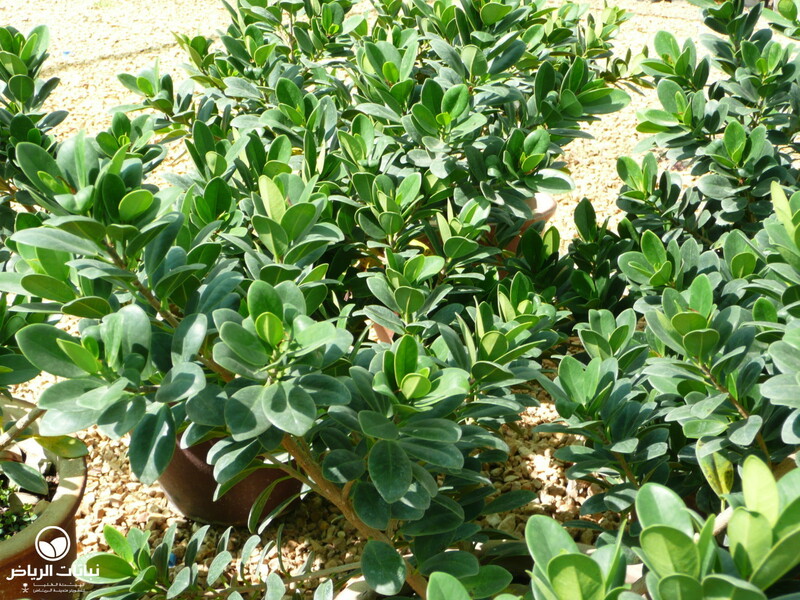 Probably a variety of Ficus microcarpa, it seems to have originated in nurseries catering for indoor plants and was then exported to nurseries in the Gulf States, where it has thrived in the coastal climate and made an excellent hedge plant. 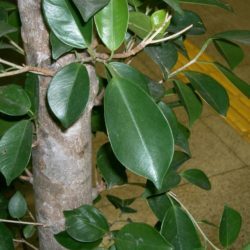 In the US, two new forms of F. microcarpa entered the Florida trade in the mid 1970s (CE) under the names Ficus ‘Green Island’ and Ficus microcarpa var. crassifolia ‘Green Mound’. 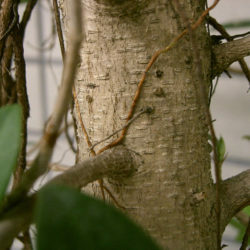 Both have been sold as Ficus ‘Panda’ or Ficus americana ‘Panda’ in Europe. They tend to spread out and are easy to train as a ground-hugging shrub. For best results, F. panda is best planted in a sheltered position, in the humid environment of a well-irrigated garden. 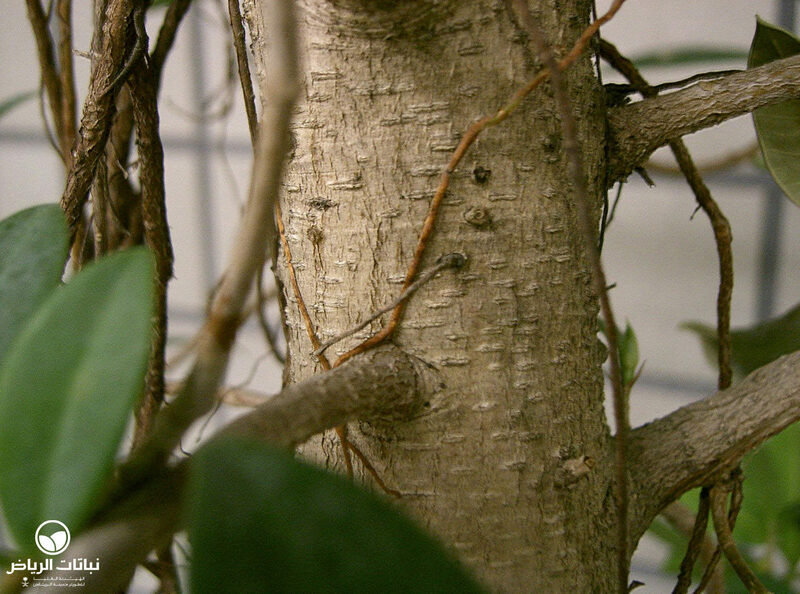 F. panda is also a good screening or background shrub that needs almost no pruning to stay dense and trim.